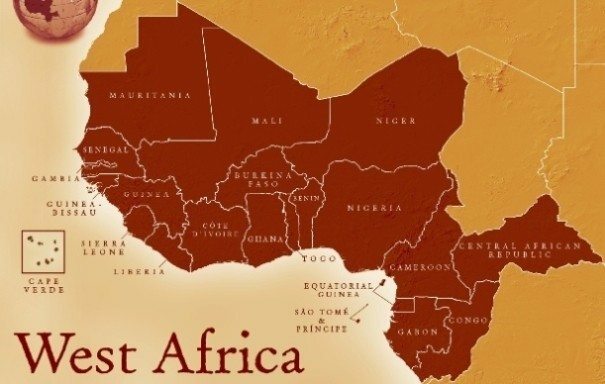 West Africa is the part of Africa that is located in the western part of Africa and most of it is in Sub-Saharan Africa. It is also referred to as Western Africa. Out of the entire African nations, there are 16 nations that make up the West African countries. Geographically, West Africa is well distinguished from other parts of Africa. Most West African countries were colonized by Britain and French and after many years of colonization, waves of independence swept across the West African Countries like wild-fire and this is the reason most West African countries have their years of independence at a close range. Despite the closeness of various countries in West Africa, there is significant cultural and religious diversity of Christianity and Islam being the two predominant religions in this area. All the member countries in West Africa have different cultures within its boundaries. Benin is a French-speaking West African country that is officially called The Republic of Benin. Its borders include Burkina Faso and Niger on the north, Togo on the west and Nigeria on the east. Cotonou is the country’s largest city and is also where the seat of government is located but the capital is located at Porto-Novo. Benin covers a land mass that is equivalent to 110,000 square kilometres (42,000 sq mi) holding a population of approximately 9.05 million people. The country gained their independence from France on August 1, 1960, and this accounts for French as the official language, however, indigenous languages such as Fon and Yoruba are also commonly spoken. Benin seems to have signed up for membership in quite a number of international organizations including the African Union, the United Nations, La Francophonie, the Organisation of Islamic Cooperation, South Atlantic Peace and Cooperation Zone, the Niger Basin Authority, the Community of Sahel-Saharan States and the African Petroleum Producers Association. Burkina Faso was formerly known as Upper Volta; a country in Western Africa that gained independence from France in 1960. Following independence, Burkina Faso has faced domestic and external concern over the state of its economy and human rights abuses with repeated military coups that have ravaged the country especially in the 1970’s and 1980’s up until recently. There is still significant lack of transparency in the country. For instance, the Current President of Burkina Faso: President Blaise Compaore took over power following the 1987 military coup and since then has organized and won every election. The Republic of Ivory Coast one country in West Africa that once had pride as the model of stability since after her independence in 1960 however, this was short-lived as the country was thrown into political chaos in the early 21st century when armed rebellion split the country in two in 2002. On a positive note, the country is known as one of the major producers of cocoa and the development of cocoa production for export, and foreign investment, especially in this industrial sector all, made the nation one of the most prosperous of the West African countries. Cape Verde is officially known as The Republic of Cape Verde, is the only island country of its type in West Africa. Cape Verde is a combination of 10 islands located 570 kilometres off the coast of West Africa in the central Atlantic Ocean, Cape Verde’s islands are historical of volcanic origin and most of them are rocky with vegetation. Cape Verde has an estimated population of about 500,000, with a quarter of its citizens living in the state capital Praia while almost 38% live in the rural areas. The Gambia is one of the smallest countries in Africa. The President Yahya Jammeh took over power in 1994 following a coup that was successfully carried out without any bloodshed. He held on to power till he was ousted in an election he had earlier accepted the result only to come back later and void it. The country is largely dependent on peanuts export since the soil does not support much of other products. The Republic of Ghana has Ivory Coast on its west, Burkina Faso on its north, Togo on the east and the Gulf of Guinea on the south of its borders. It was the first black African nation in West Africa to achieve independence from a colonial power. Ghana has one of the best growing economies in West Africa and has in recent times enjoyed the benefits of a better and more transparent system of government which has translated to the state of its economy. Guinea is a West African country with a population of 10,057,975 and occupying an area of 246,000 square kilometres As part of its borders, Guinea has Guinea-Bissau, Senegal, and Mali on the northern part, and its southern border is shared with Sierra Leone, Liberia, and Côte d’Ivoire. Like most African countries, Guinea was not free from political oppression and instability. Following independence in 1958, Guinea’s first president, Ahmed Sekou Toure, pursued a revolutionary socialist agenda and tens of thousands of people disappeared, or were tortured and executed in his 26-year regime. Guinea-Bissau is a West African country bordering the North Atlantic Ocean, between Guinea and Senegal. Only 14% of the population in Guinea-Bissau speaks Portuguese as the official language, the majority (up to 44%) speak Kriol which is a Portuguese-based creole language while the remainder speaks native African languages. Guinea-Bissau has had quite significant political and military insurgency since independence from Portugal in 1974. Liberia is officially known as The Republic of Liberia. It is bordered by Guinea to its north, Sierra Leone to its west and Côte d’Ivoire to its east. The country has about 3.7 million people living within the confines of its boundary. The country has seen a lot of violence, human right abuse and for long, has been a United Nations peacekeeping zone. The Republic of Mali as it is officially recognized is a French-speaking West African Country landlocked by Senegal and Mauritania to the west, Niger to the east, Burkina Faso and Côte d’Ivoire to the south, Guinea to the south-west, and Algeria to the north. Mali has an estimated population of 14.5 million with its capital located at Bamako and the majority of inhabitants living in the southern part of the country. It is a country whose major source of foreign exchange centers on agriculture and fishing. Mali is also endowed with natural resources which include gold, being the third largest producer of gold in Africa. Mauritania is one of the countries in West Africa and also one of the newest oil-producing countries. Geographically, Mauritania bridges the Arab Maghreb and western sub-Saharan Africa. Most parts of the country is desert and perhaps one of the reasons for a national shuffling that has mostly the Arab-Berber population in the north and black Africans in the south. Republic of Niger, is another landlocked country in Western Africa. Among its borders are Benin, Nigeria, Burkina Faso, Mali, Algeria, Libya and Chad in different directions. The Republic of Niger has a reputation for being the largest nation in West Africa, however, 80% of this land mass is covered by the Sahara desert. Niger has a population of 16,068,994 as at 2011 and this number is very much concentrated in the south and western parts of the country. Nigeria is officially recognized as the Federal Republic of Nigeria which is a federal constitutional republic with 36 states and the Federal Capital Territory, Abuja. Among its borders are the Republic of Benin in the west, Niger and Chad in the north and Cameroon in the east. Its coast in the south lies on the Gulf of Guinea on the Atlantic Ocean. Nigeria has some notable facts for which it can be remembered: It is the most populous country in Africa, the seventh most populous country in the world and the most populous black country in the World. Senegal is one of the French-speaking countries in West Africa with Dakar as the capital city which is located at the westernmost tip of the country on the Cap-Vert peninsula. Senegal remains one of the most stable democracies in Africa and has a long history of participating in international peacekeeping and regional mediation. The country has been held up as one of Africa’s model democracies. It has an established multi-party system and a tradition of civilian rule. Sierra Leone is an English-speaking west African country which greatly relies on mining, especially diamonds, for its economic base and mineral exports remain the main foreign currency earner and also among the largest producers of titanium and bauxite, and a major producer of gold. The country boasts of the third largest natural harbor in the world where shipping from all over the globe berth at Freetown’s famous Queen Elizabeth II Quay. Sierra Leone is one of the largest producers of diamond. The very costly compound generates billions of dollars for the country but despite this natural wealth, Sierra Leone is one of the poorest countries in Africa with 70% of its people live in poverty. Togo is a small West African country with a population of 6.7 million people and suffers from very lean economic growth and approximately one half of the population lives below the international poverty line of US$1.25 a day. Agriculture is the major source of income which also provides jobs for the major part of the population. Natural raw materials like Cocoa, coffee, and cottonseed contribute up to 40% of all earnings from exportation. Among all these, cotton is the largest contributing cash crop. Togo is also rich in natural minerals and is among the largest producers of phosphate in the world.